There's a comfortable contoured pillow for every type of dream. Feel yourself blissfully sink into alignment with the most therapeutic support for ideal posture and spinal alignment. 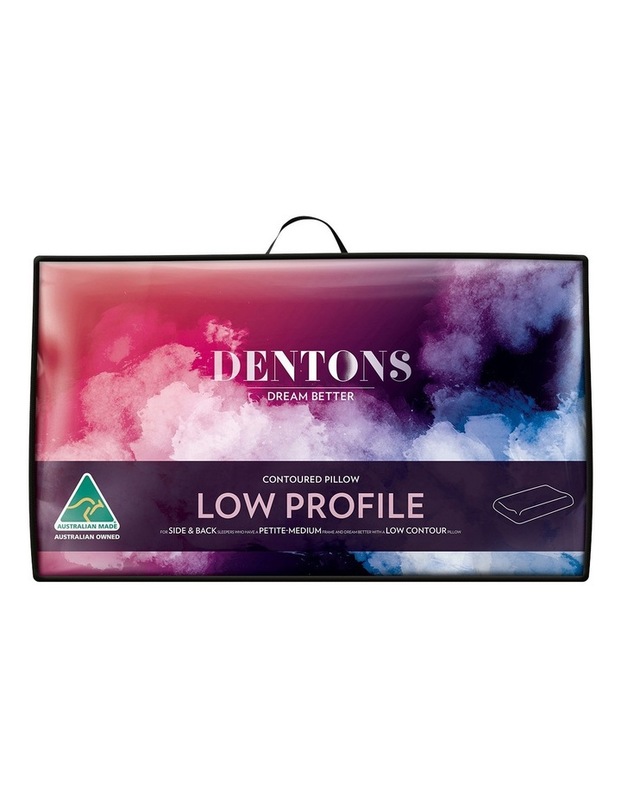 The DENTONS LOW Profile is suitable for side and back sleepers who have a petite-medium frame and dream better with a low contour pillow.